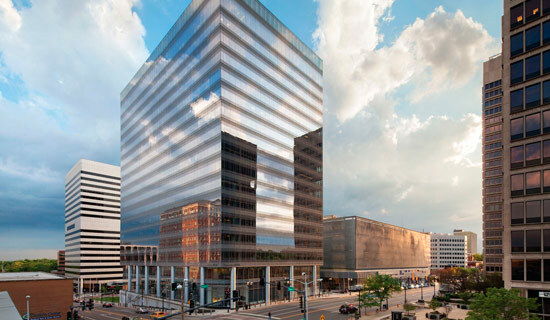 Centene Plaza is a $170 million development featuring a 17-story office tower and 7-story mixed use parking facility. Koman was lead developer, provided 75% of non-land contribution equity, leased multitenant office space, and arranged permanent financing. Centene Corporation, the nation’s leading Medicaid insurer and services provider, partnered on and anchored the deal. Primary tenants include Centene Corporation (NYSE), Armstrong Teasdale, Cushman and Wakefield, and Stinson Leonard Street.